A record number of chemicals were reviewed in the past few days by experts and members of the Rotterdam (RC) and Stockholm (SC) Conventions' chemical review committees, announced The Food and Agriculture Organization of the United Nations (FAO) and the United Nations Environment Programme (UNEP), yesterday. The review was for their inclusion in annexes of the two Conventions, thus becoming regulated by international law. "These decisions will further protect human health and the environment from hazardous chemicals and will guide the international community towards not just a pollution-free planet, but also towards implementing the Sustainable Development Goals through the sound management of chemicals and waste,” said Rolph Payet, Executive Secretary of the Basel, Rotterdam and Stockholm Conventions for UNEP. According to the latest FAO data, international pesticide sales are valued at up to USD 480 billion a year. 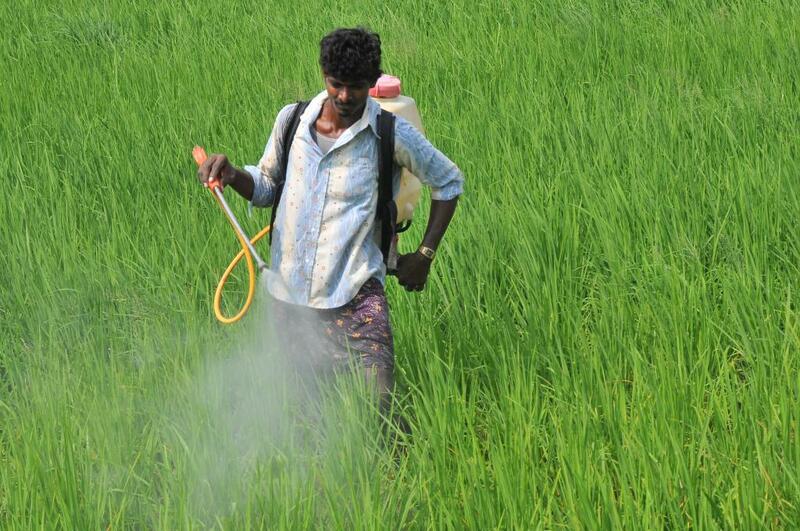 UNEP estimates that as many as 3 per cent of those working in agriculture worldwide suffer from acute pesticide poisoning, with adolescents facing a higher risk. While RC (which currently has 159 Parties) provides an early warning on the trade of certain hazardous chemicals and pesticides, SC (currently at 181 Parties) aims to eliminate or restrict the use of chemicals called Persistent Organic Pollutants, which are among the most toxic substances found on Earth. On 26 October, the 13th meeting of the Chemical Review Committee (CRC) of the RC held with the Persistent Organic Pollutants Review Committee recommended to the COP the listing of phorate, acetochlor and hexabromocyclododecane (see below) in Annex III of the Convention. Besides, three more chemicals were recommended for inclusion in the RC and two more for inclusion in the SC. More than global 250 experts and observers had gathered at the headquarters of the FAO in Rome to review the scientific information about the chemicals. A selective herbicide, which has been used on maize in Sahelianwest African countries. It poses a high risk to aquatic organisms as well as long-term risks to herbivorous birds and to humans. A pesticide, has been used for example in Brazil as an insecticide in cotton, potato, coffee, beans and corn and is considered one of the most toxic organophosphate AChE inhibitors. It is a brominated flame retardant already listed in the Stockholm Convention in Annex A and used as a flame retardant additive to provide fire protection during the service life of vehicles, buildings or articles, as well as protection while stored and in selected electronic products. The next step will be for the respective Conferences of the Parties to decide whether to formally list these chemicals at their next meetings in Geneva in April 2019. The 13th meeting of the SC’s Persistent Organic Pollutants Review Committee (POPRC) recommended on 20th October the listing by the next Conferences of the Parties (COP) of two highly toxic chemicals, namely dicofol, and PFOA, its salts & PFOA-related compounds, in respectively, Annex A and Annex A or B to the Convention. On PFOA, its salts and PFOA-related compounds, further work is expected by the Committee at its next meeting to define the need for possible specific exemptions for certain applications in the view of strengthening its recommendation to the COP, said the release. an organochlorine pesticide structurally similar to DDT. Often used as a foliar spray on agricultural crops and ornamentals, and in or around agricultural and domestic buildings for mite control. its salts and PFOA-related compounds are used in a wide variety of applications and consumer products across many sectors, e.g. semiconductor industry, imaging and printing industry, textiles, fire-fighting foam, medical devices. The Committee was also satisfied that the proposal submitted for listing PFHxS, its salts and PFHxS-related compounds to the annexes of the Convention met the required criteria, moving this group of substances to the next stage of the listing process, which requires the development of a risk profile. PFHxS are used as a surfactant to make fluoropolymers and as water and stain protective coatings for carpets, paper and textiles, said FAO in its release. BRS Deputy Executive Secretary Carlos Martin-Novella said such scientific processes "inform the global high-level political commitment on pollution, which will be negotiated at the forthcoming UN Environment Assembly in Nairobi, 4-6 December."